02 - Girl Who Got Away. 03 - Let Us Move On - Dido Feat. Kendrick Lamar Dido Lamar, Kendrick. 05 - Sitting On The Roof Of The World. 06 - End Of Night. 09 - Happy New Year. 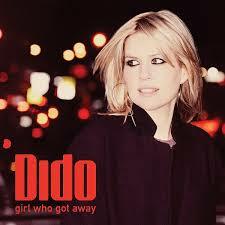 10 - Loveless Hearts - Dido Dido Pye, David. 11 - Day Before We Went To War.